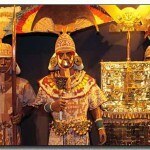 Sicán/Lambayeque cultural site systematically looted from the early 20th century to the present. Dos Cabezas is a Moche cultural site on Peru’s north coast that was the site of a major tomb looting event in the 1970s or 1980s and several recent looting incidents. 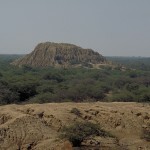 Peruvian site, the location of a major cemetery of the Wari culture that was heavily looted for textiles in the 1980s and 1990s. 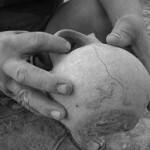 A huaquero is a person who clandestinely excavates at archaeological sites for the purpose of obtaining marketable antiquities; a looter. Collection of Pre-Conquest metal objects, some of which were purchased in the United States in 1987 and were later identified as being from the site of Sipán, Peru. 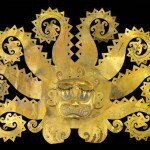 A Moche funerary site in Northern Peru that was looted for spectacular gold objects during the same looting wave that hit following the discovery of the famous lord of Sipán tomb. 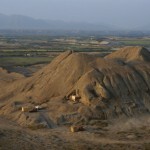 Remote Peruvian funerary site where numerous mummies were mutilated by incidental looters looking for sellable metal objects. 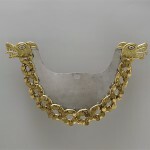 A Moche or Vicús cultural site that was heavily looted in the 1960s and 1970s for metal objects, many of which are now in the Metropolitan Museum of Art, New York. Nazca and Paracas cemeteries that were looted throughout the 20th century for sellable ancient textiles; aslo the site of a famous class of fake antiquity, the so-called Ica Stones. 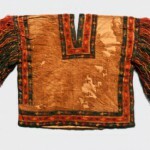 Stolen from Peru’s national museum, the textile was purchased by Australia’s national museum and was returned in 1989 after several years of Peruvian demands. 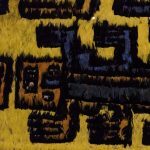 Masterful funerary textiles looted from Peruvian tombs throughout the 20th century, primarily in the 1930s, becoming a staple of the international antiquities market. 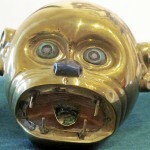 A civil suit filed against collector Benjamin Johnson in a US Court was ruled in favor of the defendant as the government of Peru could not prove that they were the legal owner of the objects in question. 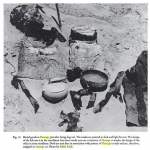 One of the best-known cases of archaeological looting; a Moche funerary site that was looted in 1987; the contents of an elite tomb were smuggled out of Peru and into various foreign collections. 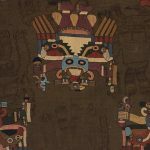 Several Peruvian antiquities offered for sale at Sotheby’s Auction House in 1994 that were seized by US Customs under suspicion of having been looted from Sipán. 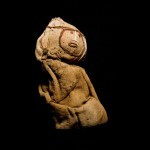 The following is one particularly well documented incidence of the trafficking of artefacts from Sipan. Yates, D. (2015), ‘Illicit Cultural Property from Latin America: Looting, Trafficking, and Sale’, in F. Desmarais ed. Countering Illicit Traffic in Cultural Goods: The Global Challenge of Protecting the World’s Heritage (Paris: ICOM). 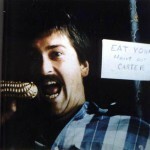 Spiegler, H., and Weitz, Y. (2010) ‘The Ancient World meets the Modern World: A Primer on the Restitution of Looted Antiquities’, Art and Advocacy Volume 06, 1-4. Alva, W. (2001), ‘The Destruction, Looting and Traffic of the Archaeological Heritage of Peru’, in Brodie, N., Doole, J. and Renfrew, C. eds. (2001), Trade in Illicit Antiquities: the Destruction of the World’s Archaeological Heritage (Cambridge: McDonald Institute), 89–96.